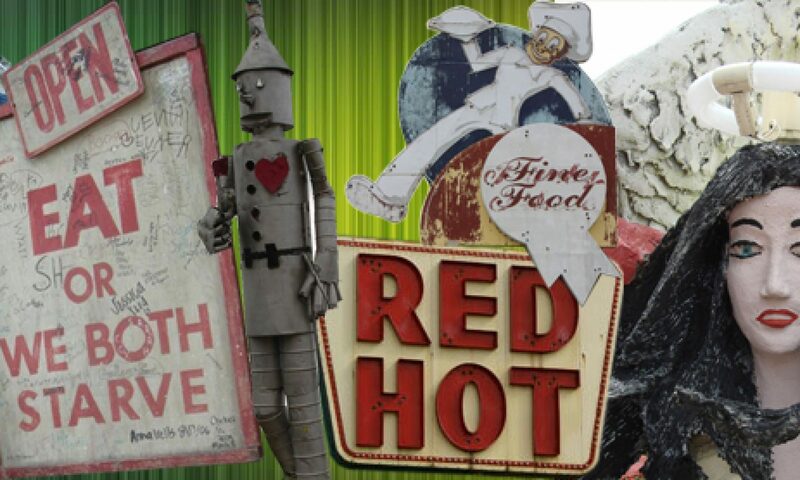 The Heidelberg Project is art, energy, and community. It’s an open-air art environment in the heart of an urban community on Detroit’s East Side. Tyree Guyton, founder and artistic director, uses everyday, discarded objects to create a two block area full of color, symbolism, and intrigue. Now in its 24th year, the Heidelberg Project is recognized around the world as a demonstration of the power of creativity to transform lives. The Heidelberg Project offers a forum for ideas, a seed of hope, and a bright vision for the future. It’s about taking a stand to save forgotten neighborhoods. It’s about helping people think outside the box and it’s about offering solutions. It’s about healing communities through art – and it’s working! Image used courtesy aechempati, Creative Commons Attribution-ShareAlike 2.0 Generic. Thank you! Image used courtesy jbcurio,Creative Commons Attribution 2.0 Generic. Thank you! Image used courtesy ellenm1, Creative Commons Attribution 2.0 Generic. Thank you! Like so many art environments, Tyree Guyton’s project (which he began in 1986) hasn’t always been met with open arms by city government – in fact, twice it has been partially demolished by the City of Detroit. Thanks to a civil lawsuit brought against the city, a judge later determined that the H/P is now protected by the 1st Amendment as free speech as an art environment. There’s a book and documentary about Tyree Guyton and the H/P. A couple of years ago, the Detroit paper did a piece on Chazz Miller whose Public Art Workz is beautifying blighted areas with murals, gardens, and more – last year his project was to paint 1000 butterflies all over the city.